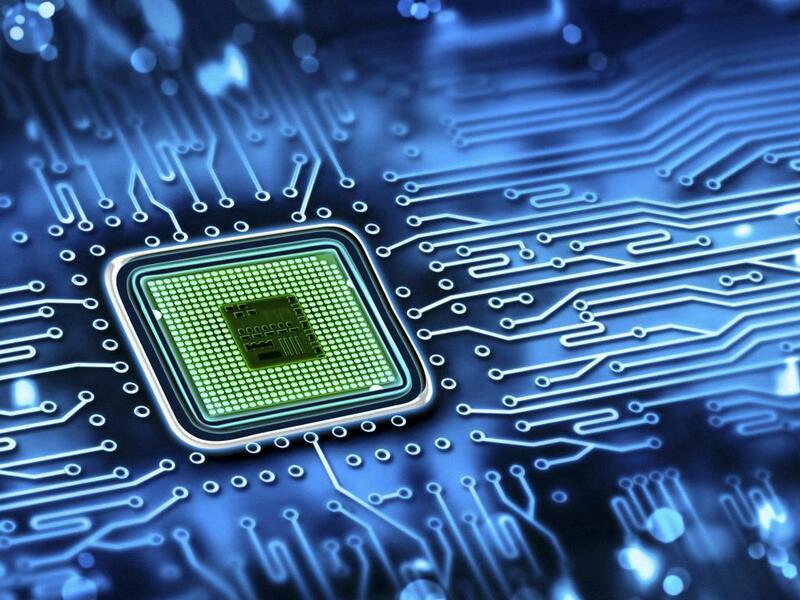 Semiconductor stocks have been one of the top performing sectors in the market in 2014. Year-to-date, the SPDR S&P Semiconductor ETF (NYSE: XSD) has climbed almost 15 percent compared to a gain of just four percent for the S&P 500. Not only have semiconductor stocks vastly outperformed the S&P, they have also trounced the technology sector as a whole, which has climbed just 0.60 percent in 2014. 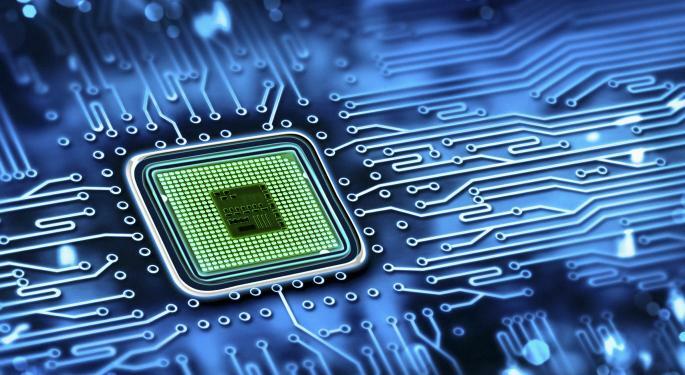 Below, Benzinga takes a look at five of the top performing broad line semiconductor stocks in 2014. This $18 billion company is a designer, developer and global supplier of analog semiconductor devices. In 2014, the stock has surged better than 35 percent and is sitting at a new all-time high. Based in Singapore, Avago has enviable profit margins. The company's net margin was just under 22 percent in 2013 and had risen to just under 23 percent in the second-quarter of 2014. Excellent profit margins are important to Avago, because revenue growth has been tepid in recent years. Nevertheless, the future looks very bright as sales are expected to be up 66 percent in 2014 and 37 percent in fiscal 2015. Shares of this Austin, Texas-based semiconductor company have been on a tear in 2014, rising better than 40 percent. The performance is a welcome relief for investors after a difficult 2012 and only moderate gains in 2013 for the stock. Freescale shares currently trade at a forward P/E of 11.5 and a PEG ratio of 1.03. Analysts expect sales at the company to rise a little less than 12 percent in fiscal 2014 to $4.67 billion. For fiscal 2015, Wall Street is modeling sales growth of five percent to $4.91 billion. If the rally in Freescale can continue throughout 2014, don't be surprised if this is one of the very best performing semiconductor stocks of the year. Maxim was hit very hard during the financial crisis, but the company's share price has been headed higher ever since. Maxim, headquartered in San Jose, designs, develops, manufactures and markets a range of linear and mixed-signal analog circuits. In October 2013, the company completed its $575 million acquisition of Volterra Semiconductor. The combined company has a market-cap of just under $10 billion. Year-to-date, Maxim shares have climbed nearly 23 percent, making the stock one of the top performing mid-cap semiconductor names in the market. Shares are currently trading at a forward P/E of 16.5 and a PEG ratio of two. The stock is also offering an attractive three percent dividend yield. Netherlands-based NXP provides semiconductor solutions that are used in automotive, identification, wireless infrastructure, lighting, industrial, mobile, consumer and computing applications. So far in 2014, the stock has jumped almost 37 percent, giving the company a market cap north of $15 billion. NXP has been a long-term high performer, with the shares climbing around 348 percent in less than four years. Analysts are modeling sales growth of 12 percent in fiscal 2014 followed by eight percent growth in fiscal 2015. Going forward in 2014, this will be a stock to watch as revenue and operating income both hit a five-year high in fiscal 2013 and it appears the company is hitting on all cylinders. This Switzerland-based semiconductor company trades directly on the New York Stock Exchange. Its major customers include tech giants such as Apple (NASDAQ: AAPL), Blackberry (NASDAQ: BBRY), Cisco (NASDAQ: CSCO) and Hewlett-Packard (NYSE: HPQ), among many others. In 2014, the stock has climbed better than 21 percent, giving the company a market cap of roughly $8.6 billion. Currently, the stock is trading at a forward P/E of 17.62 and the shares are yielding four percent.